Explanation: Next stop: Ceres. Last week the robotic Dawn spacecraft ended its year-long mission to asteroid Vesta, becoming the first spacecraft ever to visit this far off world located between Mars and Jupiter, in the Solar System's main asteroid belt. Many of the best images taken by Dawn at Vesta have been compiled into the above encompassing view. 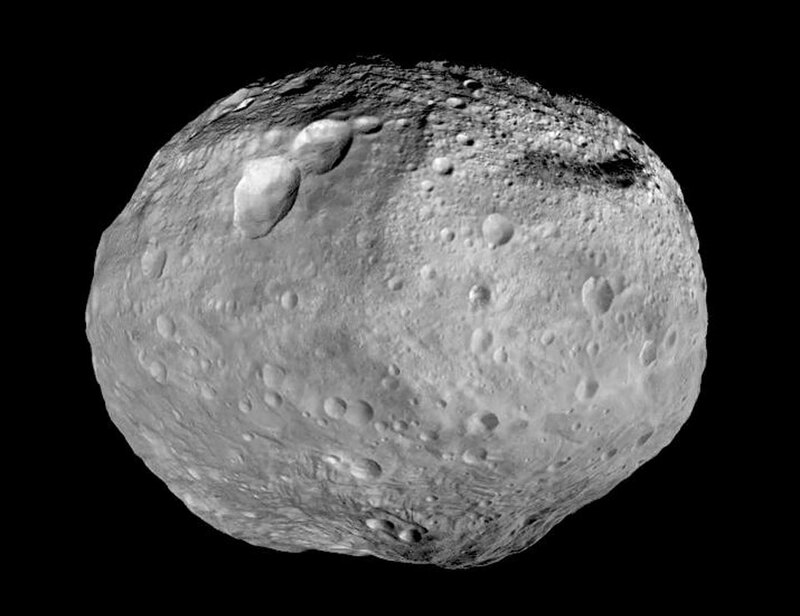 Vesta shows evidence of being a leftover from the early years of our Solar System, a building block for rocky planets like Earth. Vesta's ancient surface shows heavy cratering and long troughs likely created by huge impacts. The minor planet's low gravity allows for surface features like huge cliffs and a large mountain that reaches twice the height of Earth's Mount Everest, visible at the image bottom. 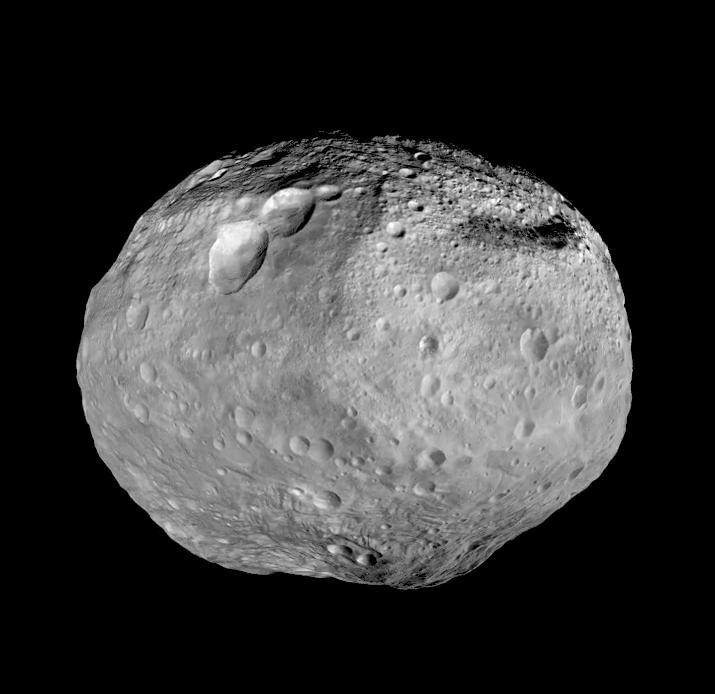 Vesta, however, spanning about 500 kilometers across, is only the second most massive object in the asteroid belt. And so, two weeks ago, Dawn fired its gentle ion rockets and has begun chasing the most massive: Ceres. If everything goes as planned, Dawn will reach Ceres in 2015. Ceres looks quite different to the distant telescope -- but what will Dawn find? Help evaluate APOD: How old are you?